Looking @ the Infinix Zero 5 and zero 5 pro, it a must phone to have due to its Camera quality, Battery life, Browsing speed, and so on. 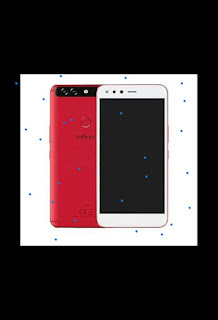 Below are some specs, reviews about the infinix zero 5 and zero 5 pro. The Zero 5 comes with an edge-to-edge display with little or no bezel aspect ratio of 18:9 just like in the, bezel-less seems to be the new trend now since it debuted on the Samsung S8 and S8 Plus. It is a 5.98 inch screen full HD resolution smartphone with a metal casing. Infinix Nigeria’s Twitter account covered live the launch event as expected, the specifications of the device is simillar to the TECNO Phantom 8. It will be available in several colour options as well as the red colour being teased in the above image. The Zero 5 runs on Android 7.0 Nougat based on Infinix’s custom XOS Hummingbird user interface. Infinix smartphones have been getting OS updates so we expect the smartphone to get the Android 8.0 Oreo update when the stable version is finally available. In terms of performance, the smartphone would be powered by a 2.6GHz octa-core processor and a 6GB RAM with an internal memory of 64GB (128GB for the Zero 5 Pro) which will be further expanded via the SD card slot up to 2TB. Much of the talk of these phone has been about its camera. Like the TECNO Phantom 8, the Zero 5 will be coming with rear camera system of 12MP + 13MP which will feature a 2x optical zoom. It is also said to feature a wide-angle lens and a telephoto lens as seen in recently released premium smartphones. Below is an Unboxing of the device and its size comparison with the Zero 4 Plus released last year. The phone has now been launched and we can confirm the official prices. The Zero 5 Pro will be available in Gold, Bromnze and Black colours. Infinix Zero 5 Price in Nigeria is around N120,000. Infinix Zero 5 Price in Kenya Ksh. 25,000 and Zero 5 Pro goes for Ksh. 31,000. Infinix Zero 5 Price in India is Rs 17,999 While Zero 5 Pro goes for Rs 19,999.